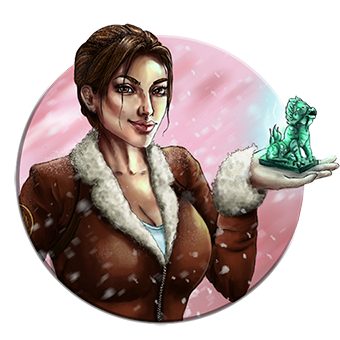 This is a group for all the devoted Tomb Raider fans where they'll be able to share their art and passion for Tomb Raider and Lara Croft. IMPORTANT - Submissions to our gallery are indefinitely closed. The ONLY available folder is open for the contest we're currently holding. Lara Croft is in the Guinness Book of Records as the most successful human video game heroine. When the original idea for the first Tomb Raider was formed Lara was an optional second choice character who would be selectable at the start of the adventure as an alternative to the original hairy-chested male character. 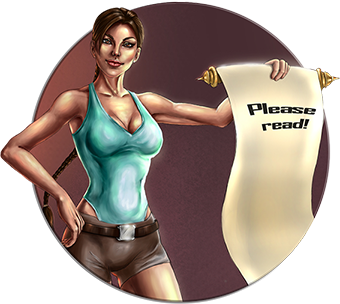 Lara’s signature pony tail was introduced due to the difficulty of rendering a full head of hair in-game. Lara’s huge belt is used to cover up a point in the model where the polygons moved against each other. Without the belt it tended to glitch and look horrible. Initially dubbed as Laura Cruz, the game’s protagonist was a South American woman with mercenary background. Name “Croft” came from a phone book. 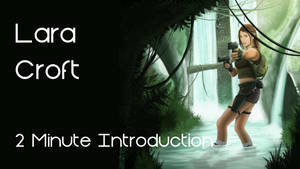 Several names were chosen from the book and put on a vote, “Lara Croft” took first place. Sony PlayStation originally rejected the early versions of Tomb Raider asking for “more materials and a better game”. Today many analysts agree that Tomb Raider was significantly responsible for the initial success of the PlayStation platform. The work on the original Tomb Raider game took 18 months and was developed by 6 people. If you took all the copies of Tomb Raider that were sold and would pile them one on top of the other you would get a building 27 times higher that the Eiffel Tower. 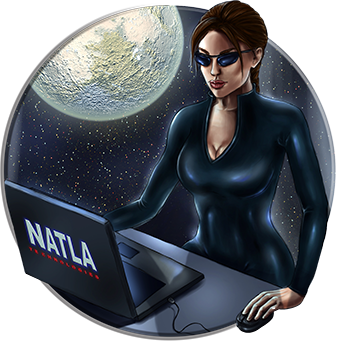 Lady Croft got on the covers of 249 magazines (the number is according to year 2007 statistics). How and where do I submit? - To submit a deviation click on „contribute art“ and then in the drop-down menu pick the appropriate folder. Or visit our gallery and click on the plus (+) next to the folder to add to it. – Here's a blog to our FOLDERS description and if you have any questions feel free to ask us! Which is the submission limit? - Our group is now quite big and we get a bunch of submissions on a daily basis. To prevent flooding in your inboxes the submission limit is now ONE deviation per week!. Now be extra careful about where you submit because if you choose the wrong folder you will have to wait for a full week to submit again!! - Unrealistic/disproportionate features - stylization is great, but keep a tasteful boundary. Art depicting enormous flying breasts will be declined. This rule applies to the Mature Folder as well! Contain mods which have nothing to do with Tomb Raider or even go against its nature (E.g. blonde hair, lacy stockings, outfits from other games, etc.) Using a TRU morph for a render doesn't automatically make it TR related. Don't show time and effort from the artist. Anyone can create an image just by using a few clicks and call it a day. Make sure your pictures have a good concept, background, pose – anything that makes it interesting and appealing to the viewer. We do not accept models as separate downloadable items, they need to be used in a render. - Poor documentation – meaning bad scans and photos of your drawings, doodles on lined paper, etc. - Submitting to the wrong folder – if you accidentally submit to the wrong folder, please withdraw the deviation and submit to the correct folder. Otherwise we will decline your submission. Please note that such folders as Digital, Traditional and Comics have subfolders. You submit to one of the subfolders only, not to the main ones. - Few versions of one and the same artwork. Please choose the one you like the best and submit it to the group. You are allowed to submit outlines and the colored work separately though. The best places to be raided on the net! We want to invite you to the Tomb-Raider-Empire closing party! It’s been immense pleasure having such fun, warm and supportive TR community here so let’s gather together one last time to party like raiders do! 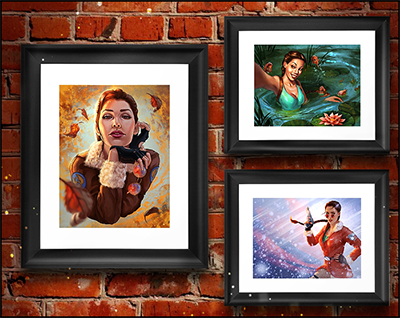 We’ll have art, Tomb Raider, shiny artifacts, suspiciously looking balm liquids and Scion-shaped cookies! All that sprinkled with the fun of adventure! Even if you don’t have professional art skills – join this event for the sake of community spirit to have fun with us one last time. TR fandom definitely has the most amazing fans and most of them were active members of our group! So what do we create? We want to know each of you better in the most TombRaider-esque way possible! Take Lara to a tour at your country. Show the world what amazing TR-esque material it is hiding! So what do we do? Imagine if the next Tomb Raider game had a level at YOUR country. And it’s your job to prepare some material for it! ALL MEDIA is accepted! Paint an illustration, a concept art, shoot a cosplay photo, sculpt an artifact, render a 3D scene, etc. Go as far as your imagination can go and share with fellow raiders what you’re proud of! Anything your country is proud of: beautiful sceneries, undergrounds, caves, waterfalls, forests, mountains, etc. Simple! We’re having friendly fun here so just make sure you created a piece specifically for this contest, did not violate any copyrighted images and have fun with it! In the artwork’s description make sure to state what country it stands for and what story it’s depicting! Submit your work to our Patriotic CONTEST folder. Now, let’s call Winston to get this festive table served! Beans on toast are on the road! As soon as Winston defrosts. Toby Gard is an English computer game character designer and consultant famous for creating iconic video game character Lara Croft. Originally employed at Core Design, Toby designed the original Tomb Raider video game released in 1995 along with the character Lara Croft. His work on the game included building and animating most of the game's characters (including Lara), animating the in-game cutscenes, storyboarding the FMVs, and managing the level designers. Andy Park is a famous comic book artist, illustrator and conceptual artist working in the entertainment industry over 14 years. He’s collaborated with such famous studios as Dreamworks, Lucasart, EA, Activision and many more. Andy was pencil artist of Tomb Raider comic books from issue #1 till #20 (1999-2001). The visual image of Lara he has created remains the most favourite one among fans. Andy became a huge inspiration for many people and when looking at TR fanart the most common phrase to read is “Inspired by Andy Park style”. Adam Hughes is an American comic book artist who has worked for companies such as DC Comics, Marvel Comics, Dark Horse Comics, Lucasfilm, Warner Bros. He is most commonly known for his stylized renderings of women, super heroines, damsels in distress, figures in fantasy. Adam provided cover art on Tomb Raider from Top Cow Comics. Joe Jusko is an American artist known for his realistic, highly detailed painted fantasy, pin-up, and cover illustrations, mainly in the comic book industry. Jusko painted the 1992 Marvel Masterpieces trading cards, the popularity of which has been credited with initiating the painted trading card boom of the 1990s. His fully painted graphic novel Tomb Raider: The Greatest Treasure of All won a Certificate of Merit from the Society of Illustrators. Randy Green worked for several advertising agencies as an Artist/Art Director while dabbling in comics on the side. During this period he mostly collaborated with Dark Horse and Image before pursuing comic book art full-time and producing content for Marvel, DC Comics, and others. 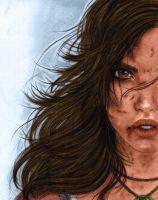 Top Cow’s Witchblade was Randy’s first extended run on a title and opened the doors to many other opportunities, including contributions to Tomb Raider and a creator-owned title – Dollz – which he hopes to return to in the future. Tomb Raider Sequel (Coming Soon)Lara Croft, persuaded by long time friend, and fellow survivor Jonah Maiava, takes a vacation to France, Prague with him. To forget, at least for awhile, the torments of the island and the friends she lost. However, events out of her control unfold, and she is forced to go on the run from French Police to the depths of the Paris Underground. She will stop at nothing to uncover the truth, and clear her name of the wrongs placed on her blood stained hands.. So, this is a new TR story I am working on. I have never written a story for the game, so I am excited to begin this. The idea came from Tomb Raider: The Angel of Darkness and it is inspired by the game. A mix of old and new, Lara takes on a much darker attitude needed to deal with the characters she meets. I had something I was going to say about the character, but it was such a long rant so yep.